If you're a regular skier or snowboarder, you'll be familiar with the usual flow of how your holiday works - waking up and checking for fresh snow before queuing up with fellow adrenaline lovers waiting to get the first lift up the slopes followed by the excitement and buzz from weaving your way back to the bottom again. 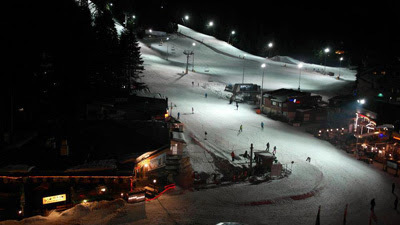 However, ski holidays to Borovets offer added excitement to your day, something that is becoming increasingly more popular, and that something is night skiing. To some, there simply aren't enough hours to ski during the day which is what makes Borovets the perfect resort to visit this winter in order to enjoy even more skiing after the sun goes down. 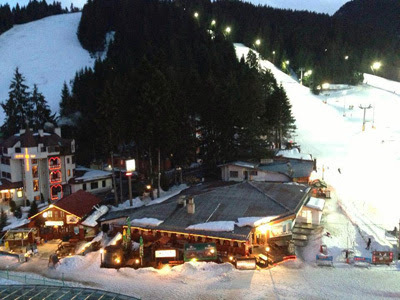 Borovets has reserved a section of its breathtaking runs in front of the Rila Hotel especially for skiers and snowboarders to use for night skiing. The course is well lit up with strong, modern floodlights ensuring you will be able to see every part of the course on your way down with minimal effort. 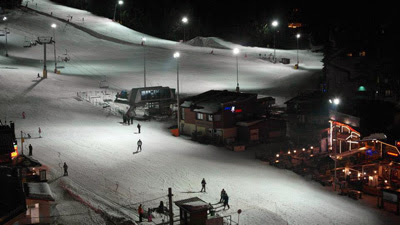 Expert ski and board instructors are also on hand to provide advice and assist and assure your night skiing experience goes as smoothly as possible. Once you have finished your night skiing or boarding, you can round off your perfect day by relaxing in one of the many fantastic restaurants and bars nestled at the foot of the slopes, an ideal place for a brilliant night out! You can also choose to soak up the vibrant atmosphere and amazing dining options coupled with warm, friendly hospitality in the picturesque Borovets resort centre. Night skiing is a truly unique experience you should not miss out on, whether you are looking for an alternative to the aprés-ski on offer or fancy something you can boast about on your return home, you are sure to enjoy every minute of it. 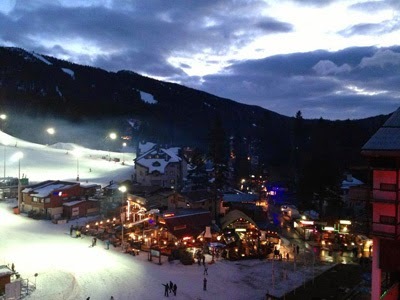 On your next ski holiday to Borovets, make sure you leave at least one evening free for this fantastic opportunity! Night skiing is bookable locally in resort, where they will be able to arrange all of your ski or snowboard needs quickly and efficiently. Plus, with Bulgaria still operating a local currency (Bulgarian Lev) you can also be assured that your wallet will be thankful you chose a ski holiday to Borovets!